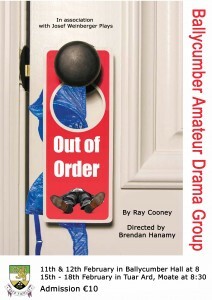 Ballycumber Amateur Drama Group are this week putting the finished touches on their production of “Out of Order”, a farce by Ray Cooney. 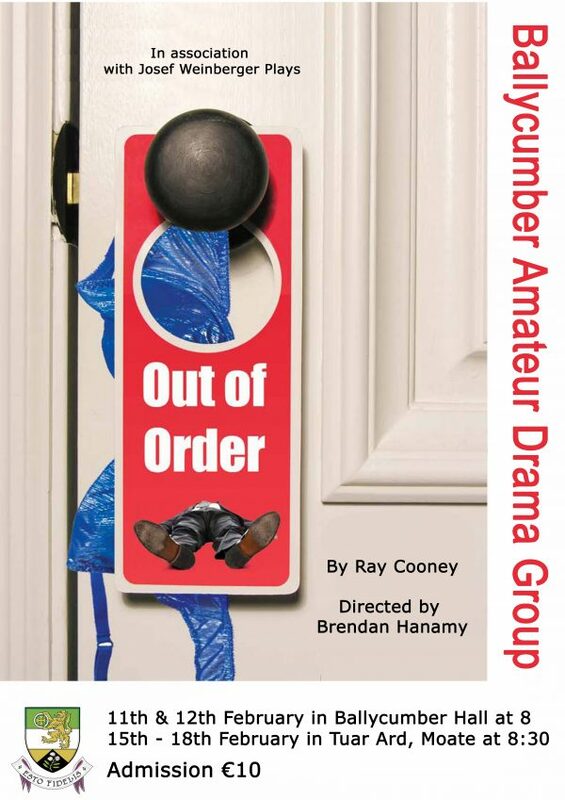 Under the direction of Brendan Hanamy, ‘Out of Order’ will be performed on 11th and 12th February in Ballycumber Hall at 8pm and in Tuar Ard, Moate, for four nights from Wednesday 15th to Saturday 18th February at 8:30pm. ‘Out of Order’ will star Chris Murphy as Richard Willey, Derek Claffey as the manager, Brendan Robbins as the waiter, Charlotte Molloy as the maid, Karen O Meara as Jane Worthington, Diarmuid Donoghue as the body, Michael Hiney as George Pigden, Mark Molloy as Ronnie, Clare Ward as Pamela and Frances Doyle as Gladys. 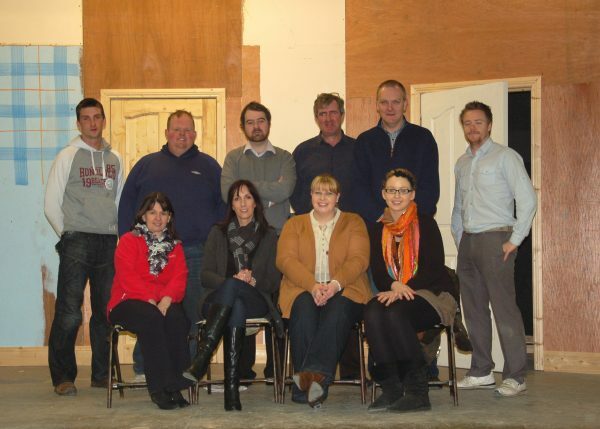 Proceeds from the first night in Tuar Ard will be donated to the local ‘Meals to the Door’ scheme, which provides meals to the elderly and sick in our community.